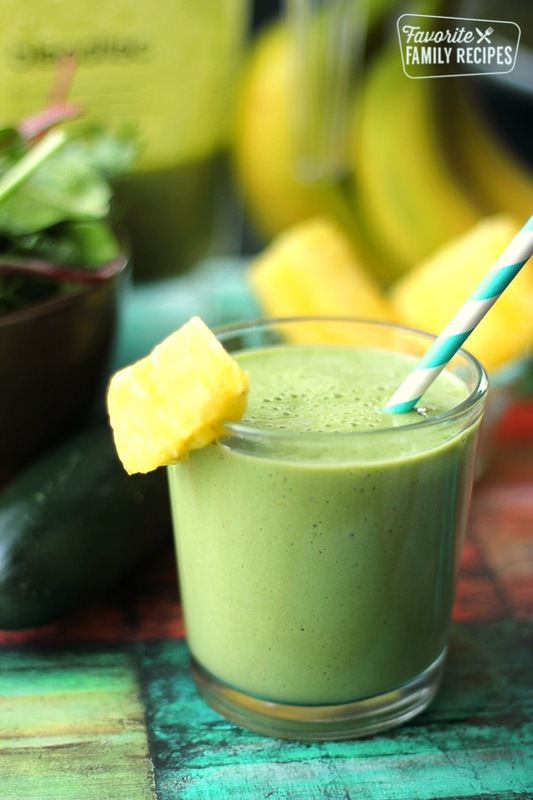 This Cool Cucumber Green Smoothie combines raw fruits and veggies that are blended up in the most delicious way. It not only tastes amazing, but with all those vitamins, it leaves you feeling fantastic! I needed this Cool Cucumber Green Smoothie in my life today. I feel like I take in so much junk over the holidays and it just leaves me feeling tired and puffy. I made this green smoothie up this morning and I am already starting to feel better, there is something amazing that fruits and vegetables can do to make you just feel good inside and out. I don’t know about you, but when I eat healthy, nutrient packed food I have more energy, I am more in the mood for exercise, my skin feels better, and I think more clearly. 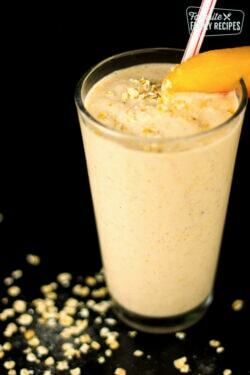 And sometimes I just need a jump start back into healthy eating- that is exactly what this smoothie does for me. I am so ready to detox all the salty, greasy, sugary foods from my body and replace it with vitamins and minerals. This is one of our best breakfast recipes to do just that. 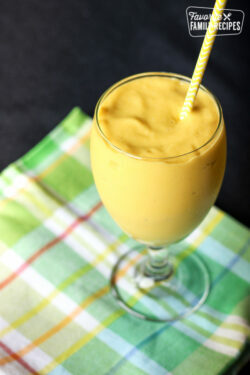 This smoothie is only 250 calories, but it actually makes a ton and leaves me feeling full. For even more sustainability and added protein add a little peanut butter. Also, feel free to substitute any of the fruit for your favorites. I found an awesome mix of greens in the vegetable section at Costco that I love for this smoothie. It is a pre-washed bag of spinach, kale, and chard, and it is awesome! I just throw in a couple of handfuls. By the way, have I mentioned what a big fan I am of my Blendtec? I used to have such a crappy blender so I am completely in love. It makes a perfect smoothie every time. Add liquids to the blender first, then add all the remaining ingredients. 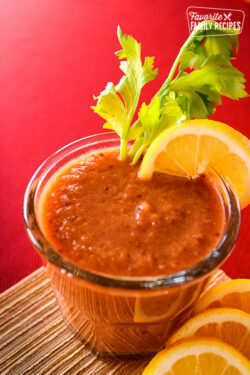 Alternatives- eliminate juice to make it 65 calories less, or add 1 Tbsp raw peanut butter for protein (add 90 calories). Hey Pretty Ladies-I had to wish you all a Very Happy & Prosperous New Year! Be Safe & Have Fun Whatever You Choose To Do .I plan to stay with you this year & I am so happy I found you & I am really enjoying the great recipes! I’ll be sure to drop you more comments during 2016. I AM GOING TO TRY THIS SOUP TO LOOSE WEIGHT. I WOULD LIKE TO KNOW WHAT EAT BESIDES THIS SOUP TO KEEP LOOSING THE WEIGHT. The Green Smoothie looks healthy. I must try it! Sounds great too. I can not believe it is almost the middle of Jan. already! This month is flying by pretty fast. Looking forward to your great recipes this year. 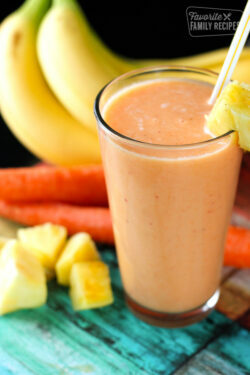 Yes, the pineapple and strawberries do give the smoothie so much flavor and sweetness. 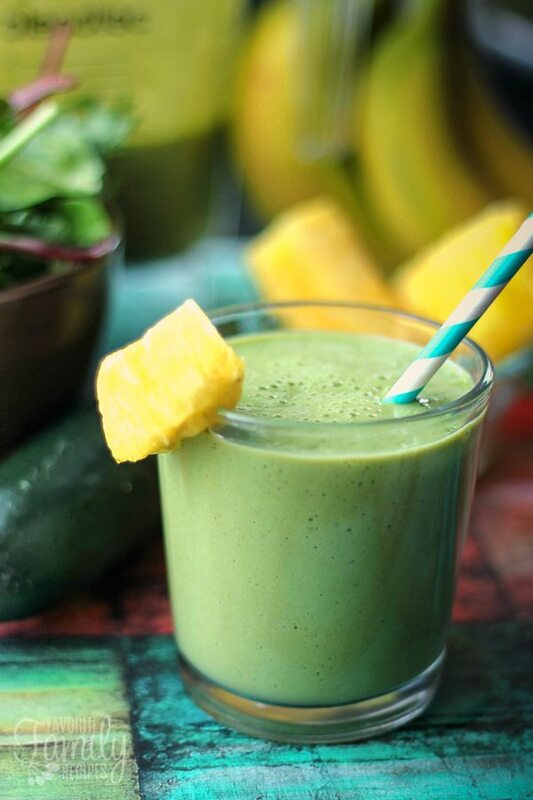 The kale adds a lot of nutrition to the smoothie and the bitter flavor is covered up by the fruit.